Whether you are a solution partner, looking to bring your innovations to the healthcare market, a reseller looking to bring new options to your customers, or a consultancy partner helping healthcare organisations transform and improve their care delivery, we can help. With our powerful foundation for the easy creation of automated care pathways, we enable our partners to quickly create new solutions for healthcare transformation. Partners can also refresh existing solutions on a modern cloud-based platform, helping them focus on their innovations and accelerate their route to market. "We chose to work with Evolve because of three reasons : 1) The platform is patient-centric, 2) They enable non-programmers to build more workflow tools and templates and 3) They have lots of experience pushing and pulling data in and out of EHRs." Our team have a long history of helping healthcare customers transform care delivery with innovative, patient-centric solutions. 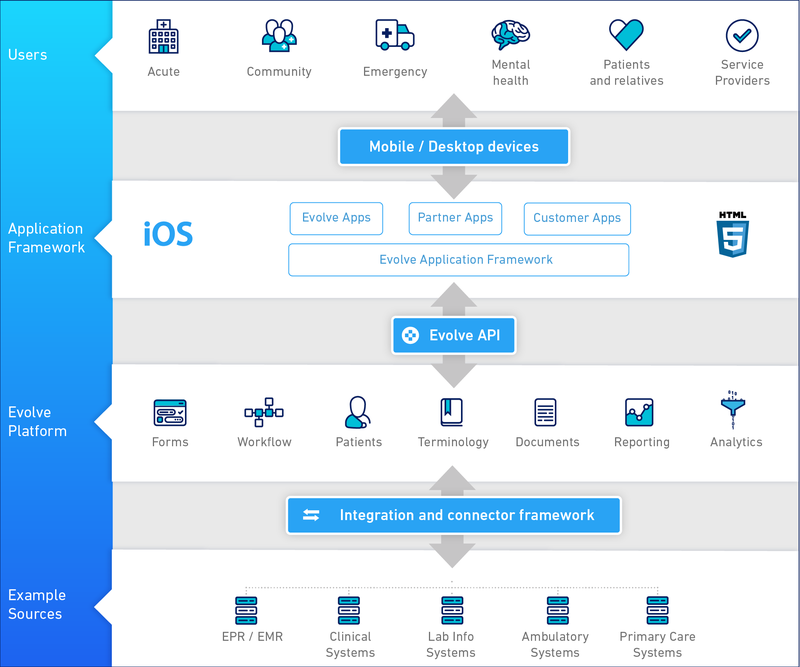 Our cloud-based, scalable Evolve Integrated Care Platform provides a powerful foundation for partner innovation, reducing time and cost to market for partner solutions. We have worked with customers and partners of all shapes and sizes, helping drive and deliver truly transformative technology programs. Working in collaboration with our partners and customers is built into our DNA, ensuring the best fit for projects that bring value and return on investment. If you are interested in finding out more about Care Pathway Automation for Partners please get in touch and one of our team will be delighted to talk to you about how Evolve can help you share patient records for collaborative, outcomes-based care.